When Dallas Hunt sat down to write his first children's book he knew it had to include the Cree language. "I really think it's important that our languages are vibrant and circulating," he said. When Dallas Hunt sat down to write his first children's book he knew it had to include the Cree language. "I really think it's important that our languages are vibrant and circulating," he said. "Not only so that Indigenous youth and children are learning languages and able to converse in a potentially fluent manner, but also just to really show or demonstrate that our languages are still very much alive and that they are circulating." The book includes Cree words for the different animals Awâsis encounters and ingredients for the world-famous bannock. 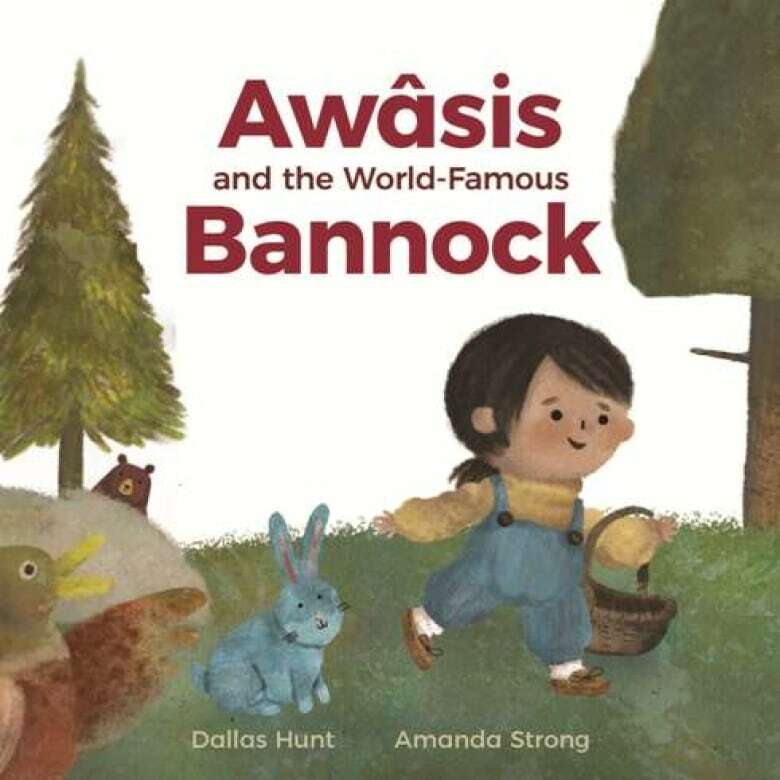 (Highwater Press)The result is Awâsis and the World-Famous Bannock, illustrated by Amanda Strong and published by Highwater Press. This young readers book follows Awâsis, a little girl tasked with delivering her Kôhkum's world-famous bannock to a relative. But due to an unfortunate mishap, she loses the bannock. Not knowing what to do, Awâsis seeks out a variety of furry relatives willing to help. Throughout the whimsical tale, there are Cree words for the different animals Awâsis encounters and, of course, for the world-famous bannock ingredients. There are also pronouncers and translations in the back and even a recipe for bannock. Hunt is a teacher, writer and member of Wapisewsipi (Swan River First Nation) in Treaty 8 territory in Northern Alberta but lives and works in Winnipeg at the University of Manitoba. He said some of his favourite children's books were Robert Munsch's 50 Below Zero and Maniac Magee by Jerry Spinelli but he doesn't remember reading any books by Indigenous writers in school. "Which is not to say they didn't exist but they definitely weren't in the curriculum I was being taught at the time," he recalled. 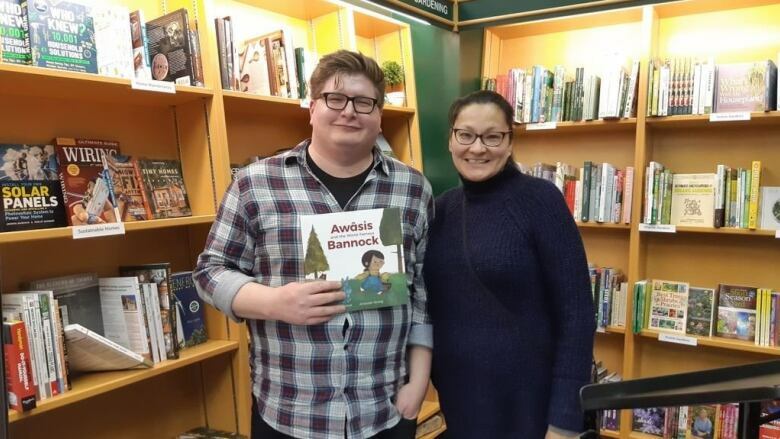 Now, more and more kids books by Indigenous authors are appearing on shelves, stores and schools right across the country. "Being in the book store now and seeing all these Indigenous books really is amazing," Hunt said. He added it is important for Indigenous children to see themselves in books so they can see themselves in a variety of different spaces. "They don't have to exist in these sort of spaces or geographies that are accorded to them. That they can be in bookstores. That they can write books. That they are the subject of books and that their worlds and their families and their communities are worth writing about."